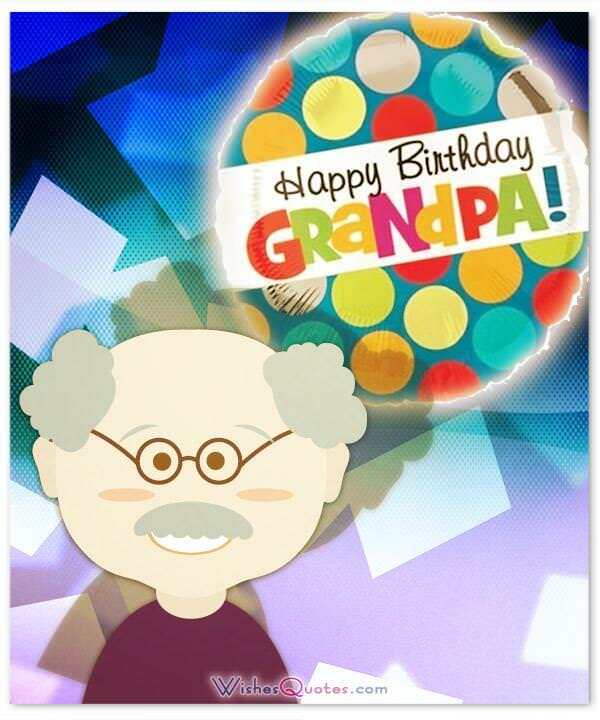 Make your grandfather smile with a cute way of saying Happy Birthday. 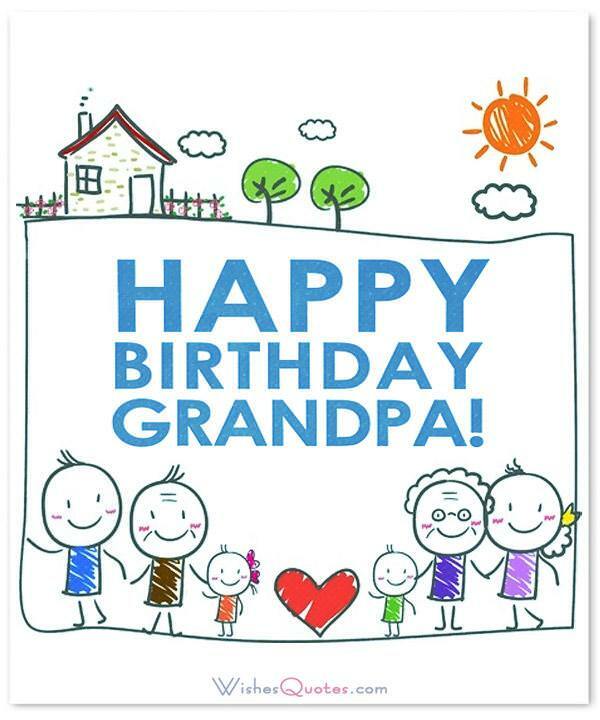 Send your grandpa unique birthday wishes with these message ideas from WishesQuotes.com writers. There is no one like Grandpa! Grandfathers are one of a kind. They are there to share their life experiences with their grandchildren and pass on invaluable wisdom, along with doses of humor and a whole lot of love. Sometimes they like to spoil grandchildren, but that is just part of the “job” as a grandparent. If your grandpa made your childhood extra special, let him know on his birthday how appreciated he is. One of the most thoughtful ways to do this is by sending him a handwritten birthday message that comes straight from the heart. Here are several message examples to help you if you are not sure what to say. 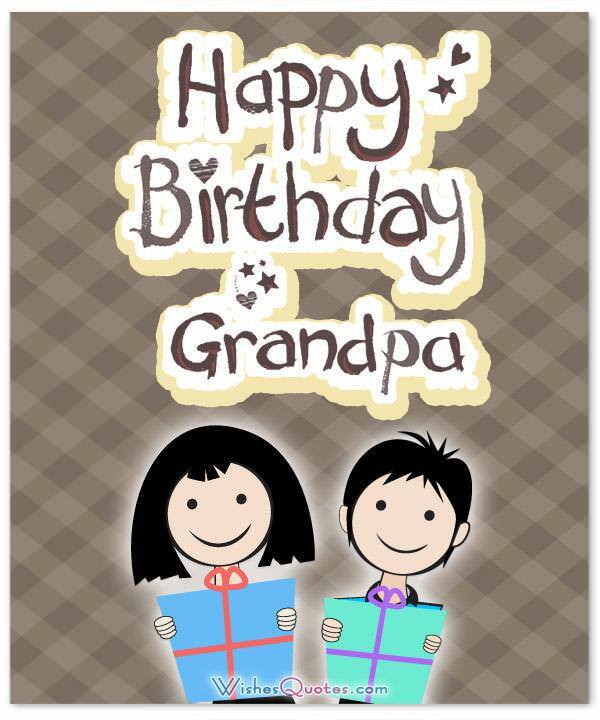 Feel free to use them as they are written or customize them to match your grandpa’s personality. Today is your special day, Grandpa, and I want you to know that every day I spend with you is unique. Thank you and Happy Birthday. To the best Grandpa: today is your birthday, and I hope it is filled with love and joy like you gave all of us through the years. How beautiful it is to be able to say Happy Birthday to such a fantastic man. Grandpa, I hope you know how much you are loved and cherished. I hope when I reach your age that I am as kind, thoughtful, funny and surprising as you are. Wishing you a very Happy Birthday! When I am a grandpa, I want to be just like you. Thank you for being such a great example and for giving me something to aspire to. Happy Birthday! Grandpas are a particular breed of people, and you were always there for me. I hope your birthday is full with joy and love. Grandpa, even though words cannot adequately convey how much you mean to me, I want to wish you the best and happiest birthday.